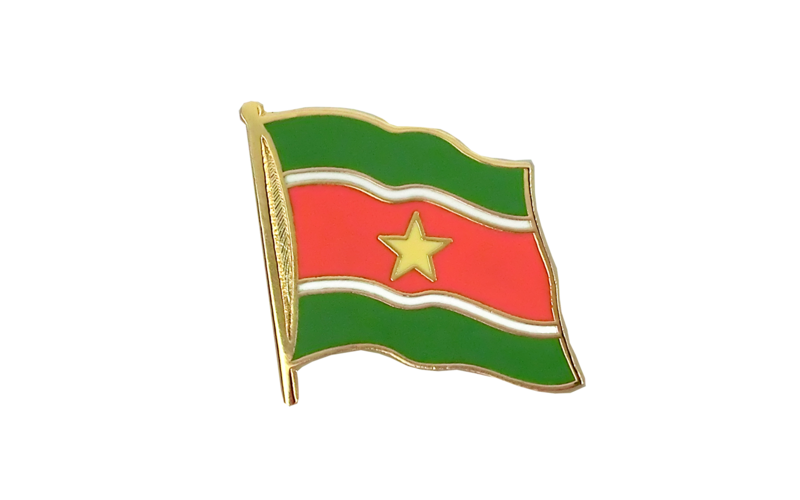 This surinamese flag lapel pin is made of high quality hard enamel. There is a pin fastening on the reverse side to make it simple and problem-free to attach to clothing. The front side is discreetly decorated with a gold shine and at the same time lends a classy impression. Royal Flags, your online store selling high quality Flag Lapel Pins with best service. 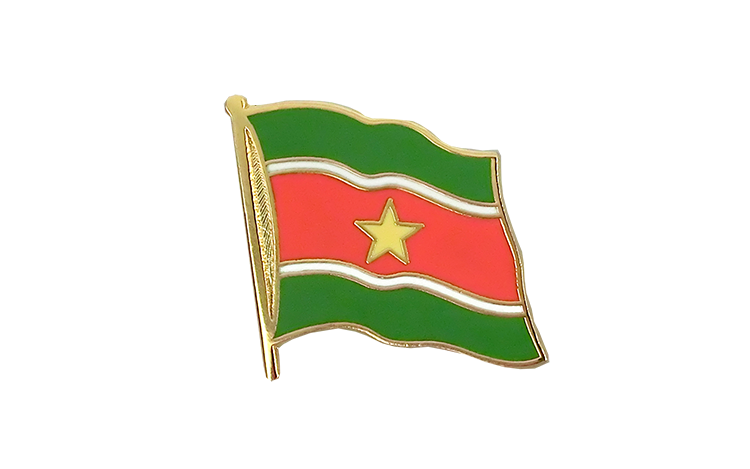 Here you can find all sizes and designs of our Suriname flags for sale. Order "Flag Lapel Pins" in bulk from us. Buy many with less money.